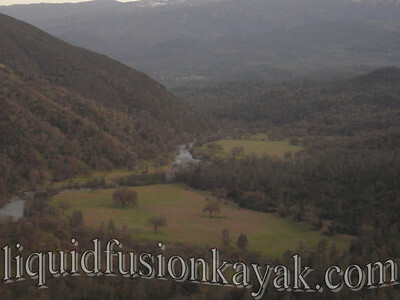 Located in northeastern Mendocino County, the Middle Fork is the largest tributary of the Eel River. It drains the Yollo Bolly Mountains of Mendocino National Forest. This huge drainage flows mightily after rain storms but also flows a good bit of the spring due to snow melt. The River Stops Here by Ted Simon is a fascinating tale of water history and politics based on efforts to dam the Middle Fork of the Eel. Typically paddlers will paddle the 32 mile Middle Fork of the Eel River from the Black Butte Ranger Station to the confluence of with the Main Fork Eel as an overnight trip. The first 24 miles is rated class II. 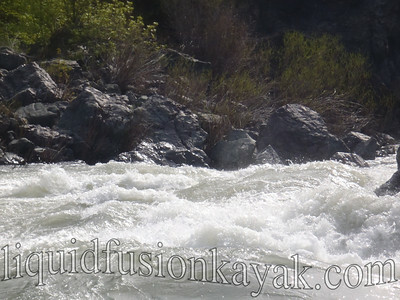 The last 8 miles has rapids that range from class III to V depending upon the flow. 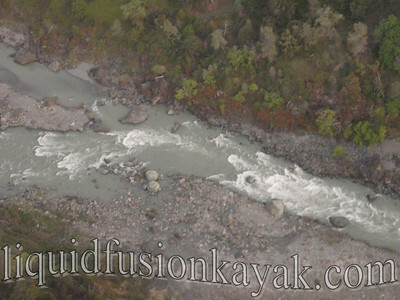 For information about the rapids and put in and take out logistics, check out Bill Tuthill's write up on the Middle Fork of the Eel River. 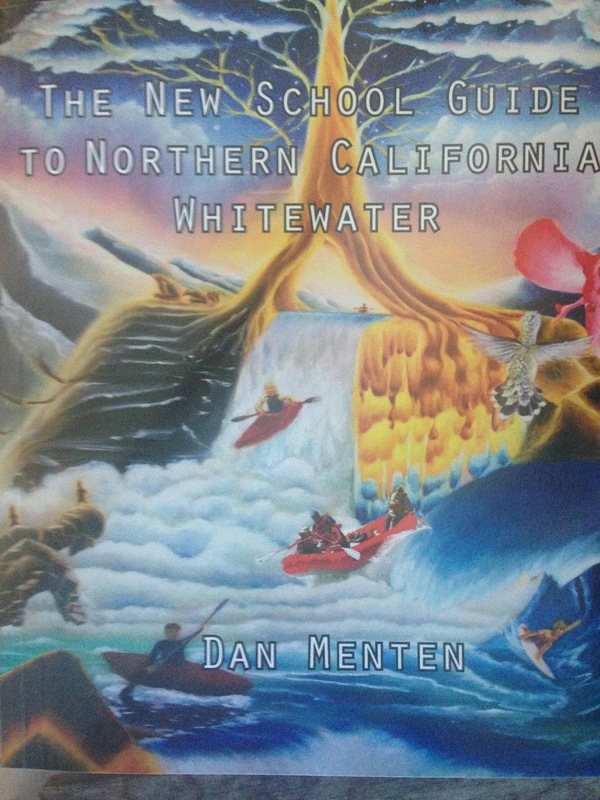 The New School Guide to Northern California Whitewater by Dan Menten is another good resource for the Middle Fork Eel and other stretches of the Eel. Several years ago, we were visiting friends in Covelo and decided to paddle the Middle Fork of the Eel. 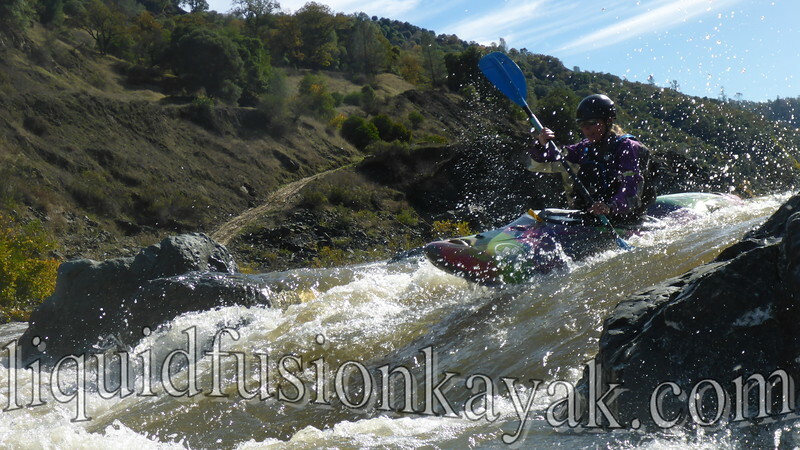 With a fast current of 3500 cfs and the option to pull-out at mile 26, we decided to do the run in a day. The evening before our run, our friend offered to show us the river from the air in his Cessna. What a treat!!! 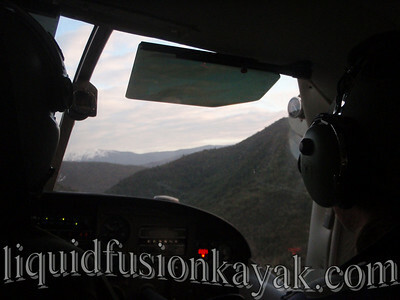 From the air, he pointed out highlights and landmarks of the river as well as insight into the wildlife that we might see. Our day paddling the Middle Fork was spectacular. Lots of snow melt water kept us moving along in the flat stretches and made for boiling eddy lines. The rocky gorge was one of our favorite sections with fun wave trains. 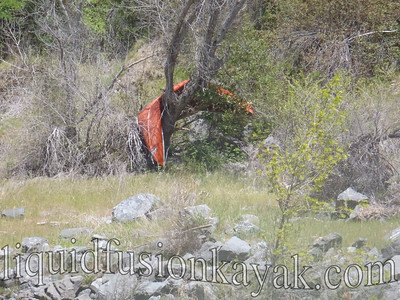 The scenery was gorgeous with all the wildflowers and greenery of spring and intriguing with a few unexpected sights like this wrapped canoe. We got to see lots of wildlife including several bears, a mamma bear and her 2 cubs, a coyote, wild pigs, wild horses, black-tailed deer, kestrels, and hawks. We couldn't believe how big some of the deer were. I enjoyed the common mergansers swimming in the class II rapids and was really excited to see a double-crested cormorant swimming and diving in a rapid. 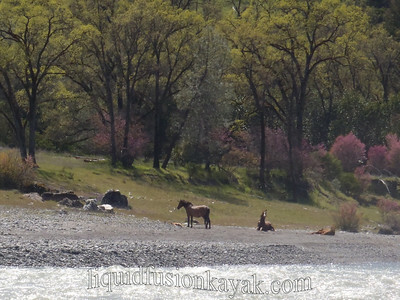 Wild horses resting along the Middle Fork Eel River. It was a long day on the water. 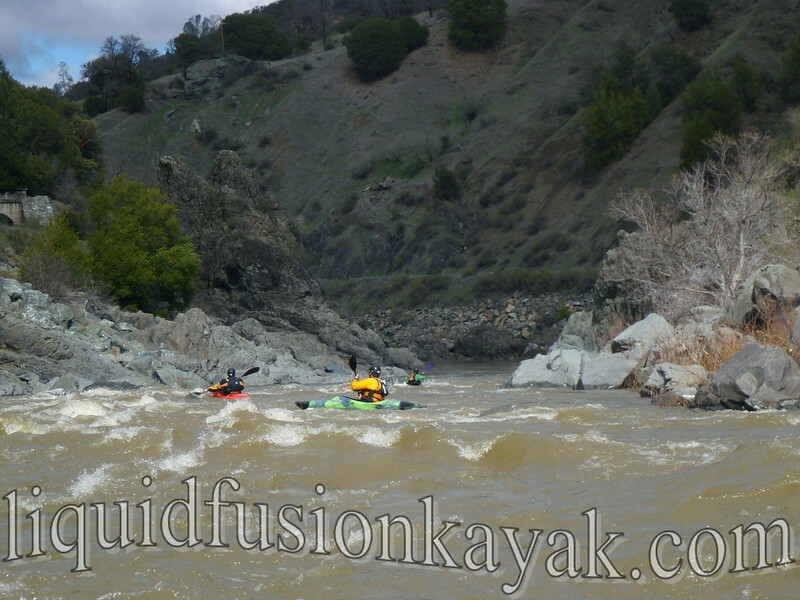 One of the highlights of the paddle was the Class IV rapid that we encountered before taking out. The rapid is called Skinny Chutes. It was anything but skinny at this flow. It looked very different from the photos that we saw on CA Creeks. Skinny Chutes was definitely going to be a challenging rapid with moves to make and hazards to avoid. We got out and scouted it. The middle looked down right nasty with 2 consecutive but slightly offset recirculating hydraulics. This was DEFINITELY not the line to take. Neither the left or right had a clear path but the left looked like the best route to take. Of course the left had 2 considerable hydraulics to be negotiated. The plan was to avoid the first and punch the second (most likely capsize, flush-out, and roll-up). 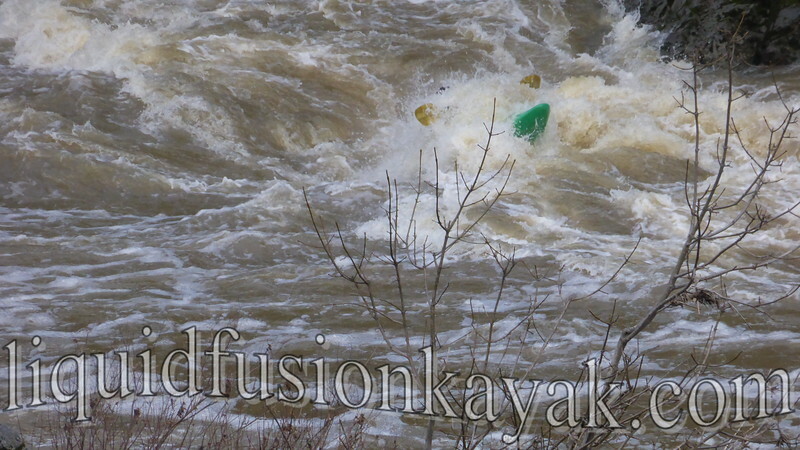 Of course, I capsized on the entrance drop into the rapid. I rolled up and eddied out. THUMP, THUMP, THUMP - I felt my heart beating through my chest. The thought "I could get out here and portage," shot through my mind. I erased the thought and told myself to charge it. I ferried midway across but should have ferried further to the left. When I turned to head downstream, I was heading right at the top hole that I was planning to avoid. I didn't have time to avoid it and tried to drive through it. It grabbed me and flipped me. I rolled up and continued driving for my target rock on river left. Somehow I got there and skirted the flush-out and roll up hydraulic. Whew, a bumbling but successful run of the rapid. After Skinny Chutes, we worked our way a down to Salt Creek and took out just above Coal Mine Falls. The trip took us exactly the 6 hours that we had estimated. Just as we were pulling off our paddling clothes and enjoying a TOB, our friend's mom arrived to pick us up. This was another GREAT day on the Eel River. Kicking off my series of blog posts about the Eel River with a post on the Outlet Creek Stretch of the Eel. This is a 7 mile stretch on the main fork of the Eel River north of Willits, California. It is just above the confluence with the Middle Fork. Local's commonly refer to the run as "Outlet Creek" because the put in is at the confluence of the Eel and Outlet Creek. 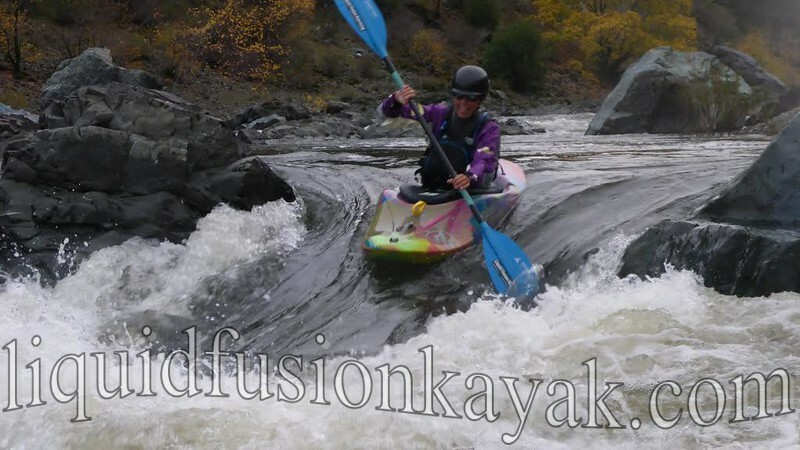 For detailed information on the logistics for the Outlet Creek Run on the Eel, check out the description on CA Creeks written by local paddler Paul Futscher. "Outlet Creek" is a fun 7 mile class III stretch that runs during the rainy season. 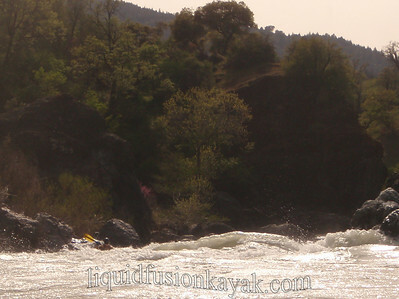 Runnable flows on it vary from 500cfs to 20,000+ cfs. These are estimated numbers because there is no actual gauge on this stretch. Dreamflows calculates an estimated flow, but we don't ever really know what the flow is until we get there - kind of like surf forecasting. Before going, we look at 3 different gauges, look at 3 different predictions, the flow over Van Arsdale Dam, and a couple of other secret sources. 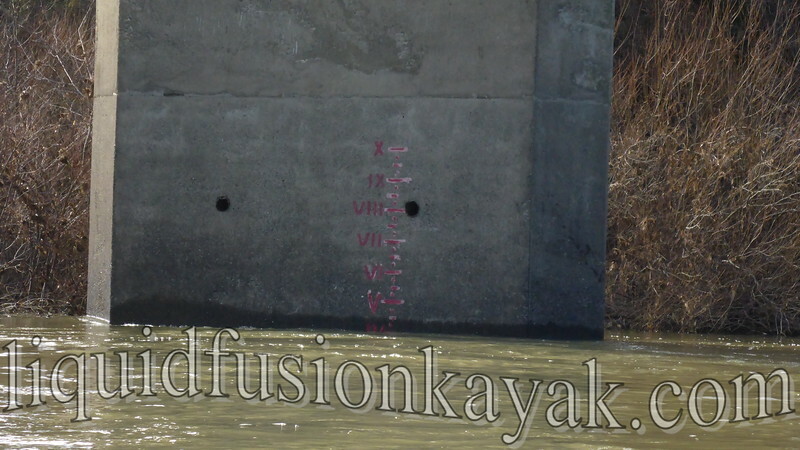 When we get to the put in, there is a hand painted gauge on the 8 mile bridge. Gauge on the 8 mile bridge. Because of the difficulty predicting the flow, Outlet Creek doesn't see a lot of boating traffic. Don't be offended if you show up to kayak the Eel and the local boaters look at you like you are a rare wildlife sighting. Wildlife that we see on this stretch varies by season. 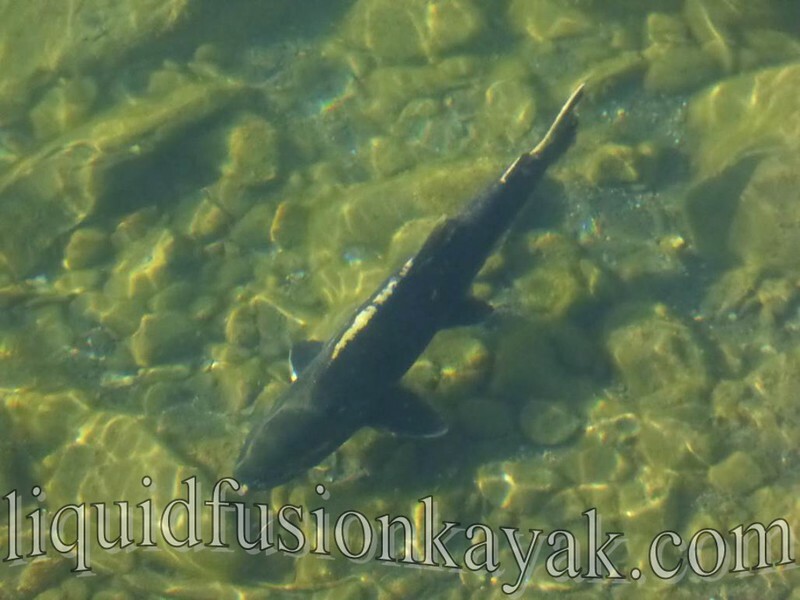 When the water is clear in the late fall and early winter, we will see salmon migrating up river to spawn. Salmon heading up the Eel River to spawn. Once I saw a mountain lion walking on the old train tracks. We have seen bobcats, river otters, muskrats, and lots of bear tracks. Later in the spring, we see turtles sunning on the rocks. Birds that we see include bald eagles, redtail hawks, peregrine falcons, kestrels, wood ducks, hooded mergansers, common mergansers, American dippers, black phoebes, green herons, violet green swallows, cliff swallows, acorn woodpeckers, and pileated woodpeckers. 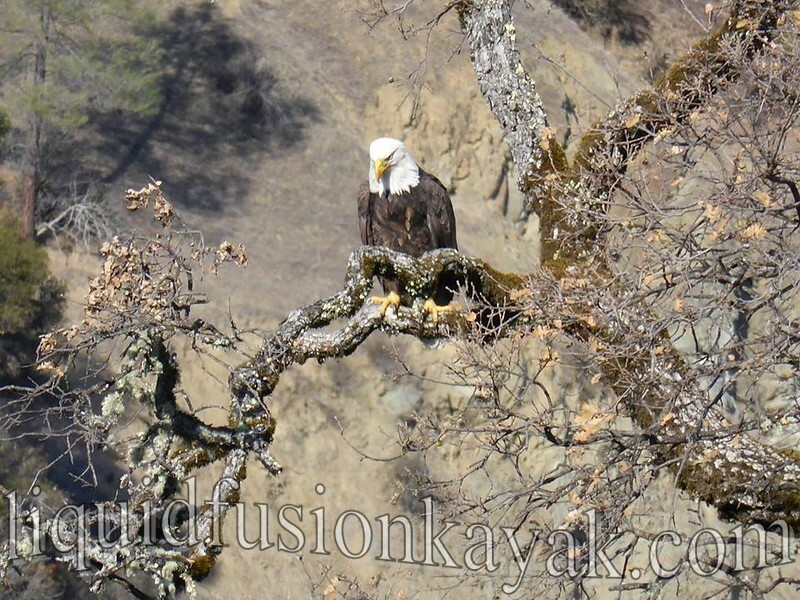 Bald eagle looking for salmon on the Eel River. A nice feature of the run is its relative short shuttle. It is road side which allows for a variety of put in and take out options. It is also offers good vantage points for photographing paddlers as they go down the Eel. The challenge with photography is the lighting. 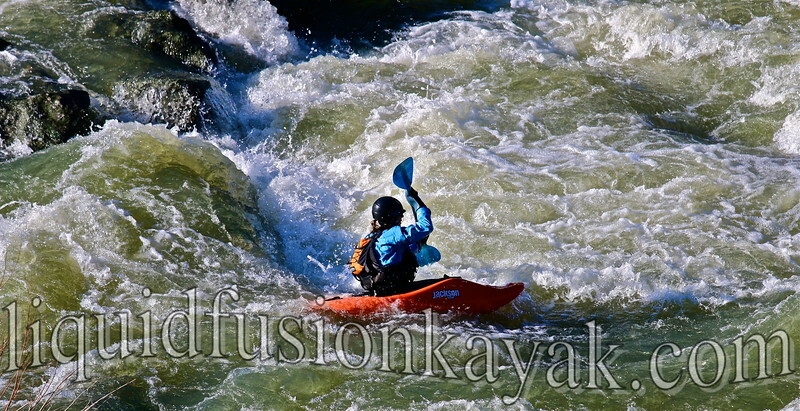 Check out Willits Photographer Chris Hansen's photo blog which from time to time includes kayakers on the Eel River. The rapids are primarily pool and drop and there are a lot of them over the 7 mile stretch. 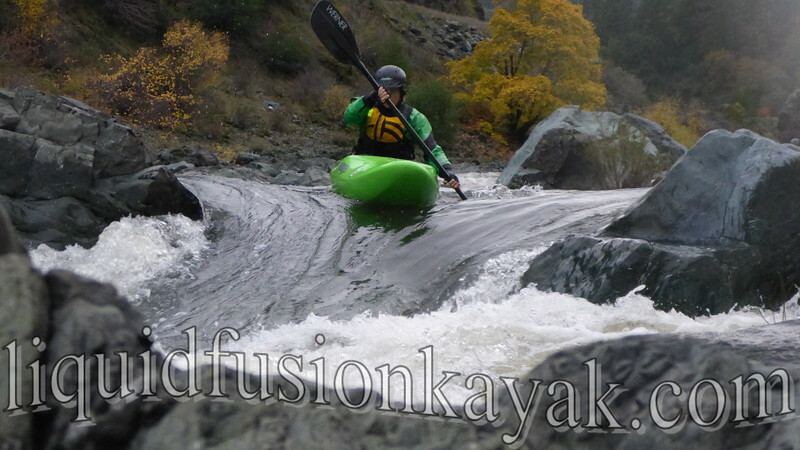 Jerry dropping into the tunnel rapid on the Eel River. The rapids change quite a bit depending on flow. Approximately 7,000 cfs is the highest that I have run this stretch. This is a fast ride. 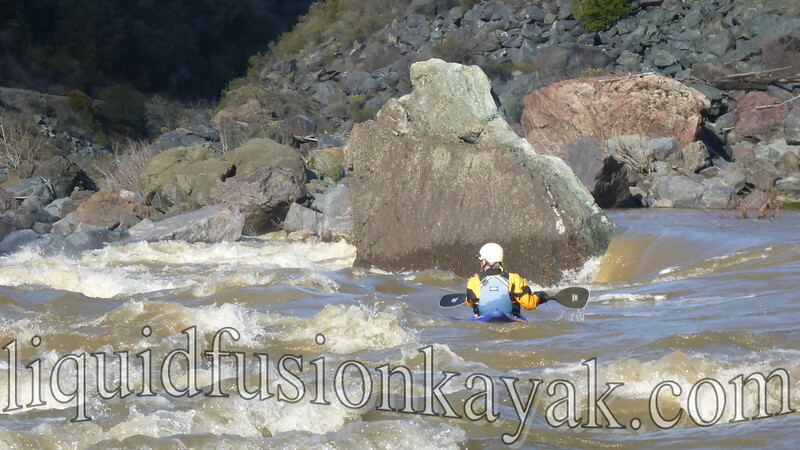 At high flows, many of the smaller class II rapids are "washed out." The Class III rapids tend to be big fast wave trains. A few have meaty hydraulics lurking at the bottom that keep you on your toes. Elliot blasting through a hydraulic on the Eel. Most paddlers enjoy the run in the 1200-2200 cfs range. Lots of lines are open for options in the rapids and there are some nice surf waves. Jeff surfing my 2 Fun on a wave on the Eel. At lower flows (500-1000 cfs), lots of eddies open up. One of my favorite rapids is just above the first tunnel. We call it "Tic Tac Toe" because there are so many fun eddies to catch through ferries and attainments. 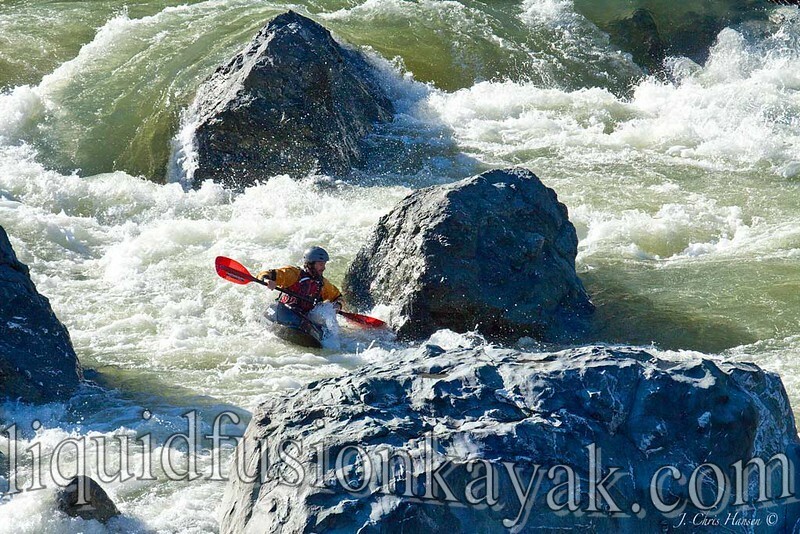 I am surprised that we don't see more paddlers on this whitewater gem. If you get a chance, it is definitely worth doing. Graffiti on "The Wall." We think it means have a nice day. 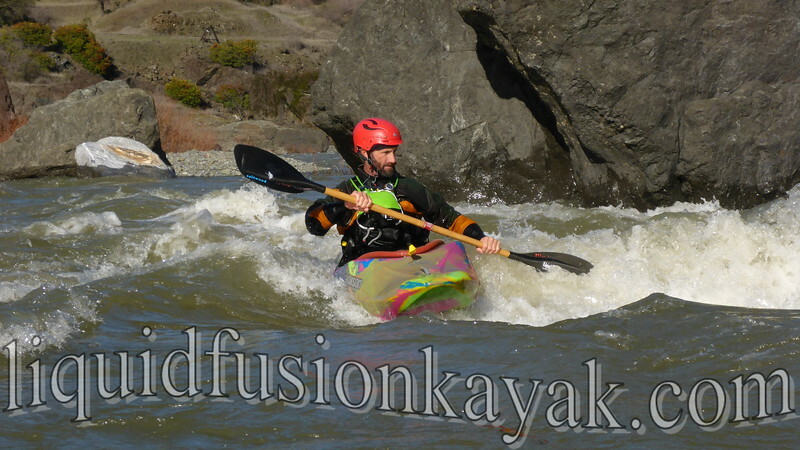 The Eel River is an often overlooked whitewater gem. The Eel has many personalities and something for all classes of whitewater enthusiasts. The moving water on the Eel ranges from class I through class V (flat, moving water through steep, difficult whitewater). The Eel is a special river for me because it is in my backyard and where I learned to whitewater kayak. 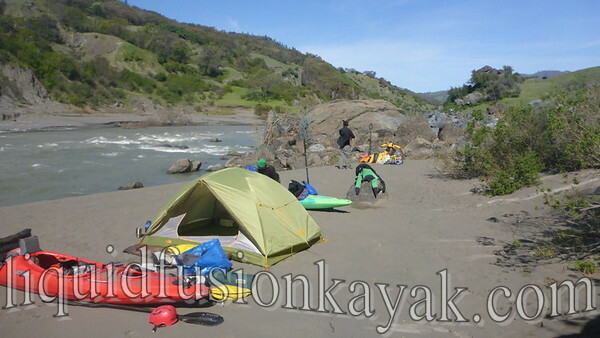 The Eel River has roadside stretches for day trips and easy shuttle logistics and wilderness stretches for multi-day kayak camping trips. The boating season depends on the rainfall in the area and snow pack and run off from Mendocino National Forest. It is difficult to say what is typical, but usually we are kayaking on it December through May. Jeff and I love the Eel River and are really excited about kayaking on it this spring. The ground is saturated and gushing, and we expect to have good flows on the Eel this spring. Spring is our favorite time of the year on the Eel. Longer days, warm weather, and wildflowers are a real treat. 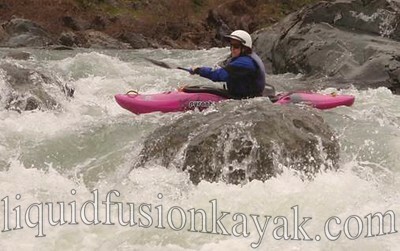 We have 2 whitewater kayak classes on the Eel coming up. 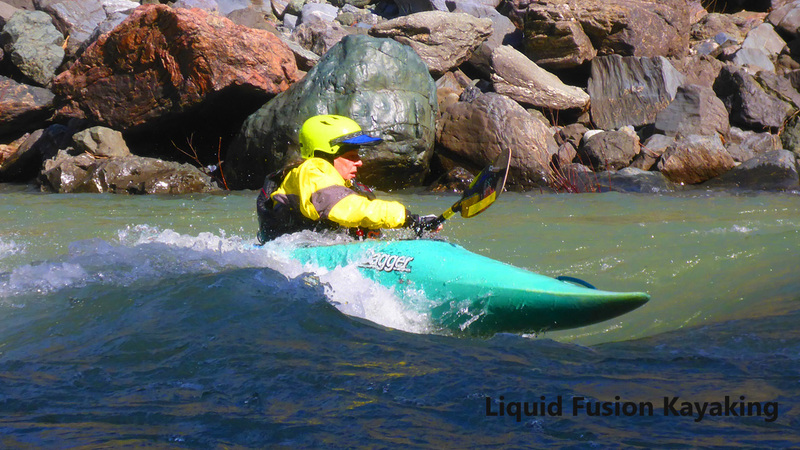 April 15-16 is our Precision River Running Class for Intermediate Whitewater Kayakers to build their river running skills. 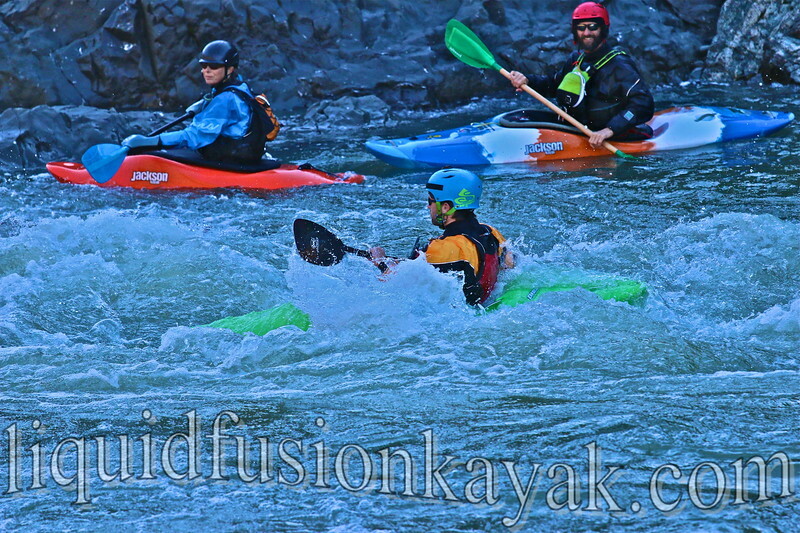 May 13-14 is a Whitewater Kayak Class for novice whitewater kayakers. 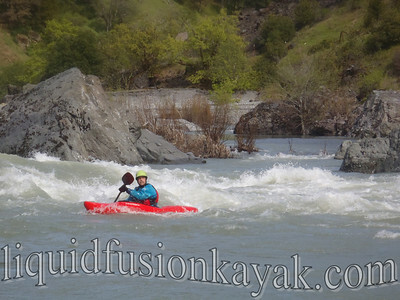 Liquid Fusion Kayaking instructing whitewater kayaking on the Eel River. Photo by Mark Boyd. 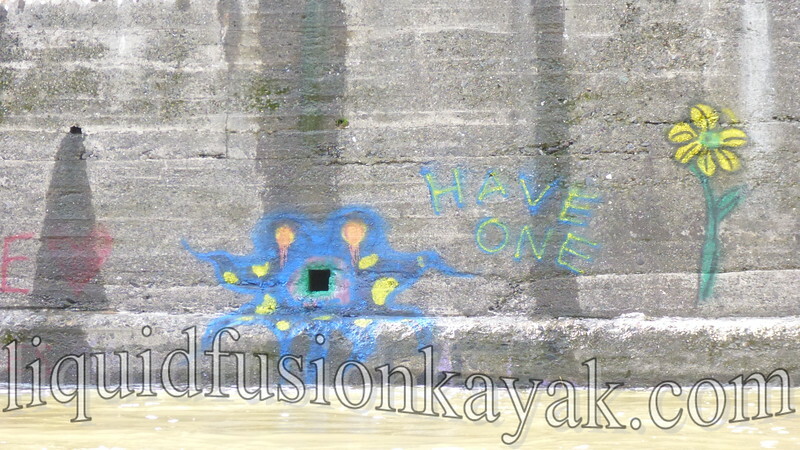 We are also available for private lessons, custom classes, and guiding on the Eel River. 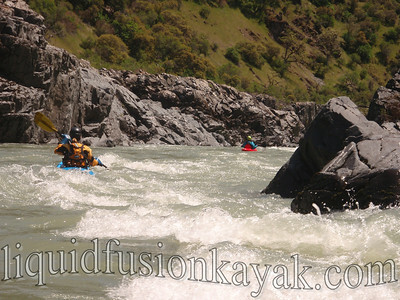 Liquid Fusion Kayaking guides private trips on the Eel River. Want to know more about the Eel River, CaCreeks is a website with information on many of the Eel's Runs. 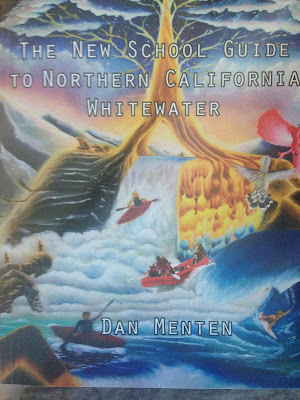 Also Dan Menten has a new book The New School Guide to Northern California Whitewater that has lots of information on the Eel and other Northern California Rivers. I am planning to write a series of stories and information on my favorite stretches of the Eel. Stay tuned.